If you want more choice in your business, good money management is the bottom line. Our Environment section covers information about effluent, land, water and nutrient management on dairy farms. The People section shows you how to recruit quality staff, be a better manager, work within the law, grow your people and much more. Information about feed management on dairy farms, including seasonal management, production systems, supplements, crops and pasture types. Animal management is a critical component of farm profitability and sustainability. From genetics to herd management and more, this section covers topics that will help guide your decisions. The smallest change in the dairy shed can improve milk quality and profitability and an efficient milking system is one where cows, facilities and people work in balance. Do you need an upgrade? 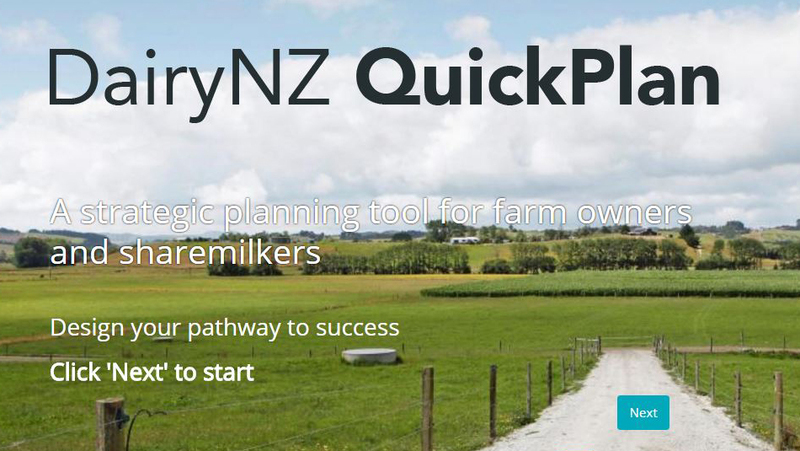 Read news from the DairyNZ publications Inside Dairy and Technical Series, as well as the latest media releases here. From research and the services we provide, to education, policy and the Dairy Industry Strategy, there's so much to discover in this section. Contact details for DairyNZ regional offices, consulting officers, and our Farmer Information Service. Where do you want to be? Create the dream. This can be a fun process which may challenge you to determine the purpose of your life and examine how your business fits into this picture. Regardless of your journey stage, understand why you are farming, have a clear vision for the future, and a plan for how you are going to get there. Successful people have focus, know their business strategies and success factors, and will be constantly looking for opportunities to make the most of their strengths to achieve their vision. Successful people and businesses have strong clarity of vision. 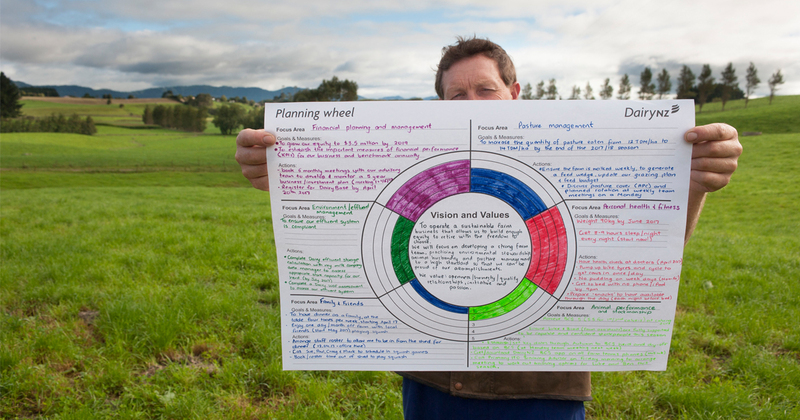 Your values and vision helps you determine and prioritise your different focus areas e.g. family, business, leisure. The key to a successful vision is having something that is truly meaningful to you and can be communicated to those working with you to achieve it. What is a vision statement? A vision statement is a high level or overarching statement/s describing what you want the future to be like and the principles or values you want to live by. the type of person you want to be. A vision needs to develop in your mind over time, and be captured with extreme clarity into a clearly written statement or detailed picture - especially if you wish to communicate and share it with the important people in your life. A vision statement is like a personal constitution or written standard by which all options and decisions are tested and evaluated. It acts as a beacon to guide and inspire you. A vision is a core solid foundation that seldom changes, in contrast to strategies, goals and action plans that frequently change in response to a changing environment. What do you want your life and business to be like? What are the values and principles you want to live by? Whether it is a picture, vision board, statement or a collection of key words is irrelevant. Clarity is key - a vague vision isn’t one that we’ll pursue with all our energy. 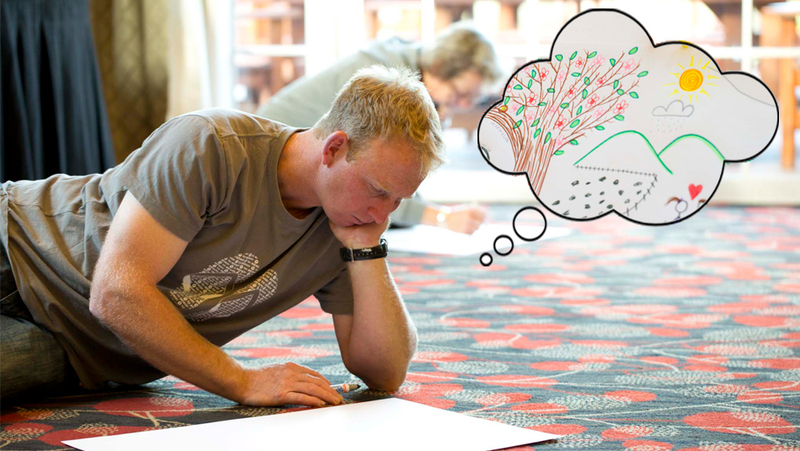 Draw a picture or metaphor or create a "vision board" - how would you like your life to look in the future? Share with someone and have them listen and capture key words and phrases. 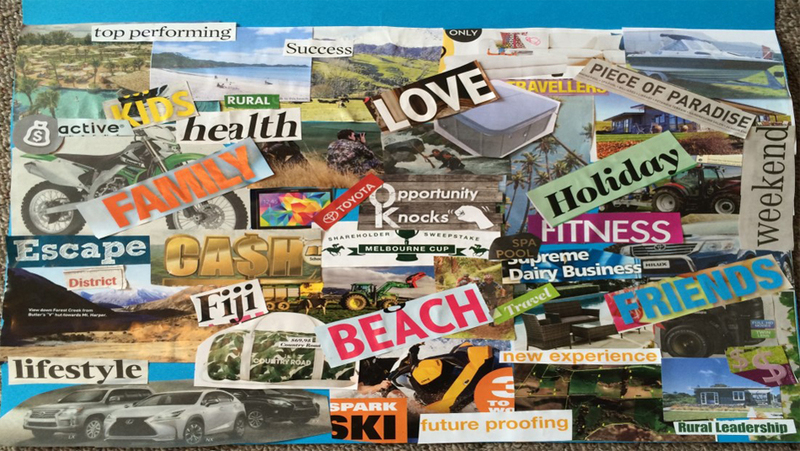 Use key words and phrases from your picture or vision board and planning wheel to write your vision statement. "We want a business that provides satisfaction through goal setting, seeking opportunities and meeting challenges, while enhancing the environment and playing a leading role in the community." "To enjoy life while steadily growing our business, extending our knowledge and having the courage to take on new challenges, creating a secure balanced base for our family." "We require honesty, self-discipline, trust worthiness, commitment, enthusiasm, good communication, and respect for our business. We value courage, flexibility, passion and initiative." What are your values and guiding principles? These are the principles you live by. For example, "treat others as you would want to be treated yourself." What are values and guiding principles? Values and guiding principles are principles or standards of behaviour that guide you and your business in all circumstances, irrespective of changes in your goals, strategies, type of work, or management structure. A common characteristic we see amongst successful people and businesses are the guiding principles they apply to help make decisions in all areas of life. Clarify and document what is important to you to guide your business and personal decision making. Use our interactive tool to clarify and create vision statements and goals and actions. Sorry, we could not process your request at this time. Please try again later.